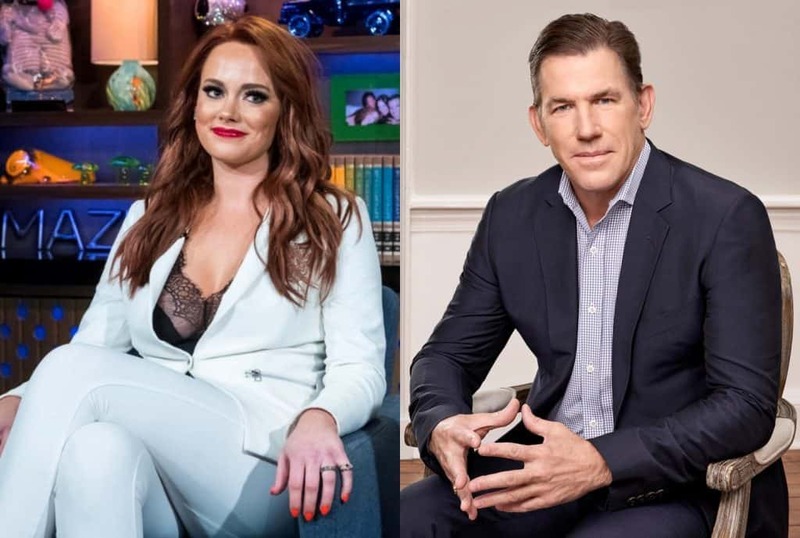 Kathryn Dennis isn’t taking her ex-boyfriend Thomas Ravenel‘s recent arrest lightly. In fact, the Southern Charm star is taking steps to ensure their two children, four-year-old Kensington and two-year-old Saint Julien, are kept out of a potentially harmful situation. Weeks after Thomas was taken into custody in Charleston, South Carolina, Kathryn has filed documents to modify their current custody agreement. On November 1, Us Weekly confirmed news of Kathryn’s custody filing, revealing the reality star filed her modification paperwork on Friday, October 26. In September, Thomas was arrested on charges of second degree assault and battery after he was accused of sexually assaulting two women earlier this year. However, it was the claims made about a January 2015 incident with his former nanny Dawn that ultimately led to his arrest. Nanny Dawn, the victim in Thomas’s criminal case, also revealed in an earlier interview that she actually told Kathryn about Thomas’s alleged assault shortly after it happened… before going to cops. Although Kathryn has yet to comment on Thomas’ arrest, she did briefly address the sexual assault accusations against him during the Southern Charm season five reunion months ago. At the end of season five, it was revealed that Thomas and Kathryn were sharing 50/50 custody of their kids. As fans may recall, Kathryn briefly lost custody of her children years ago amid struggles with substance abuse but has since gotten her life back on track. In other Thomas news, his criminal case is moving along amid this new custody battle. He is currently scheduled to have a preliminary hearing on November 5 during which a judge will decide if there is enough probable cause to send the case to trial, according to Live 5 News. Southern Charm season six is currently in production and expected to air on Bravo TV sometime next year.